“Coffey” isn’t a misspelling and this Japanese Whisky has nothing to do with “coffee.” “Coffey,” refers to the type of column still used by Nikka at its Miyagikyo Distillery which was imported from Scotland in 1963 and, according to Nikka, it “produces a complex whisky with a mellow and sweet taste originating from the grain itself.” Nikka Coffey Grain Whisky is distilled from mash bill of 95% corn, so if Nikka’s description of its Coffey still is correct, this whisky should be dessert-sweet. This whisky is lighter than I’m used to for Bourbon, but it still has a nice amber hue. I enjoyed the aromas, even if they were a little light. The high corn content is evident immediately with sweetness, vanilla, light caramel, and even some corn flakes cereal. I tried this Nikka neat, with a splash, and over an ice globe, and definitely preferred it neat because it seemed to get watered-down too quickly. It’s predominantly sweet, with honey, vanilla, baked apples, and caramel candy, but without the rye grain complexity I look for in Bourbon. In addition to sweetness, there are light nutty and grassy flavors, and a faint tropical coconut flavor, for an overall soft, elegant experience. The finish was medium in length, with a little bit of smokiness at the end, which was an unexpected compliment to the overall sweetness. I thought that I would find that this Japanese Whisky reminded me more of Bourbon, but it lacked the complexity and character of most Bourbons costing a third of its price. 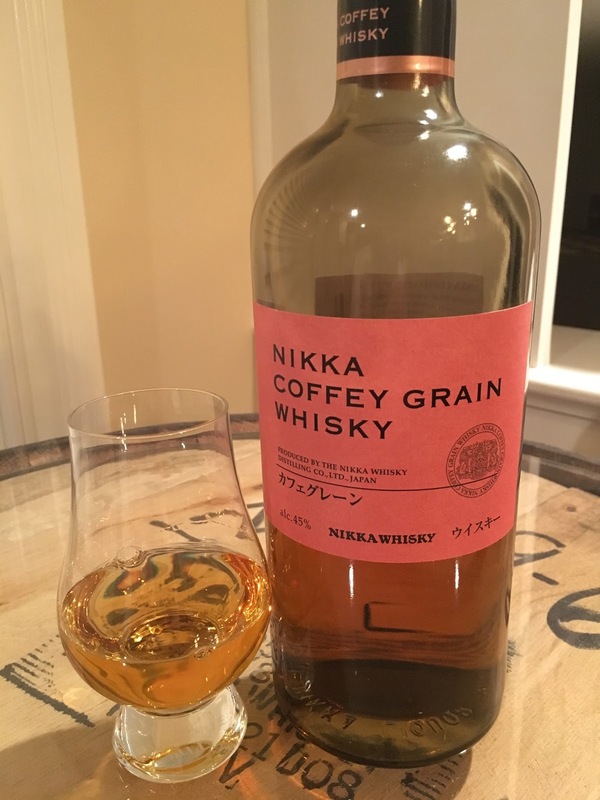 Nikka Coffey Grain Whisky was much better than the American Corn Whiskey that I’ve tried, but it’s not going to replace my Bourbon, especially at this price. I liked it well enough, but I consider this diversion from Bourbon to have been an overall bust.